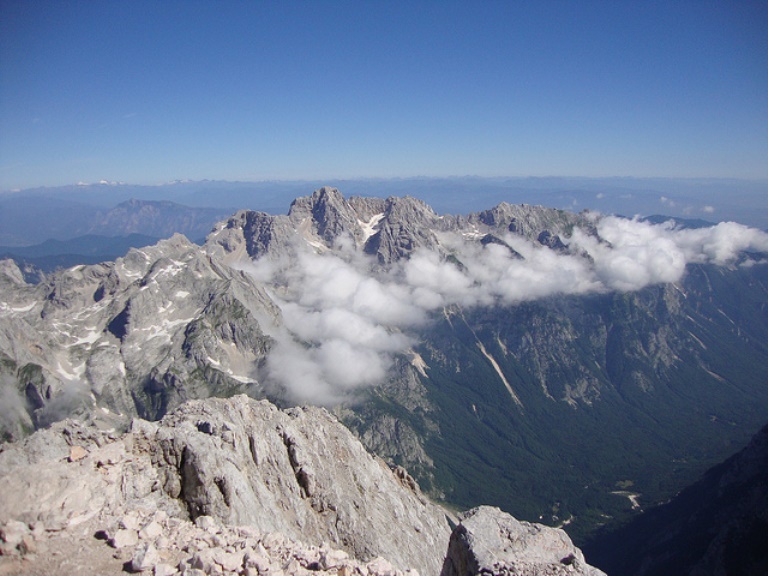 This great long-distance trail winds across the mountains of this fabulous and relatively undiscovered country, passing through its best scenery, including the outstanding Julian Alps. This can be tough walking in high, remote mountains, on which you will have to be self-sufficient in places. Come prepared. 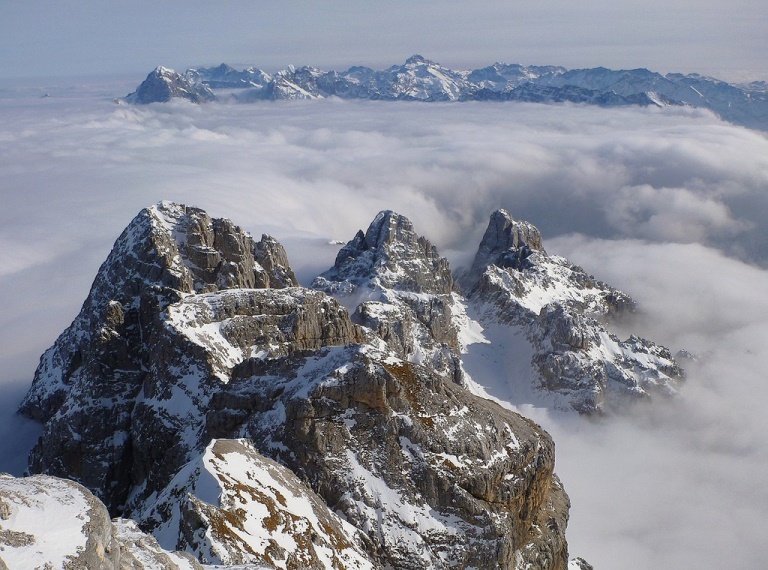 This great long-distance trail winds for 599km across the mountains of this fabulous and relatively undiscovered country, passing through its best scenery, including the outstanding Julian Alps, where it climbs the country's highest and best known peak, Mount Triglav. The trail well reflects the country's beauty and variety. You will also see plenty of Slovenia's remarkably unchanged rural heritage, mountain villages and remote farmsteads offering an insight into traditional ways of life. 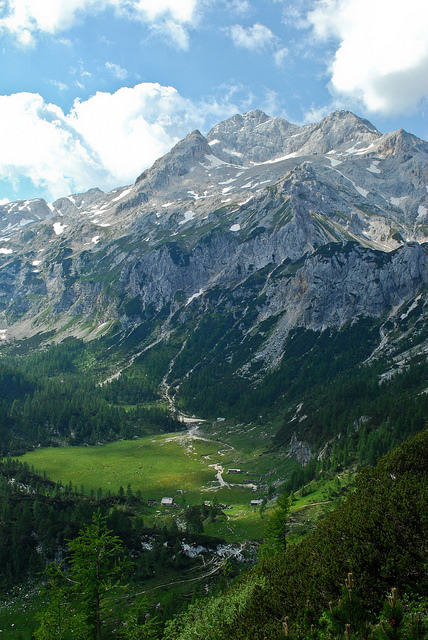 "The longest transversal hiking trail/route in Slovenia. The first transversal hiking trail in Europe (from 1953). Until 1991, the Slovenian Mountain Trail was named the Slovenian Mountian Transversal No.1, leading from Maribor to Koper. 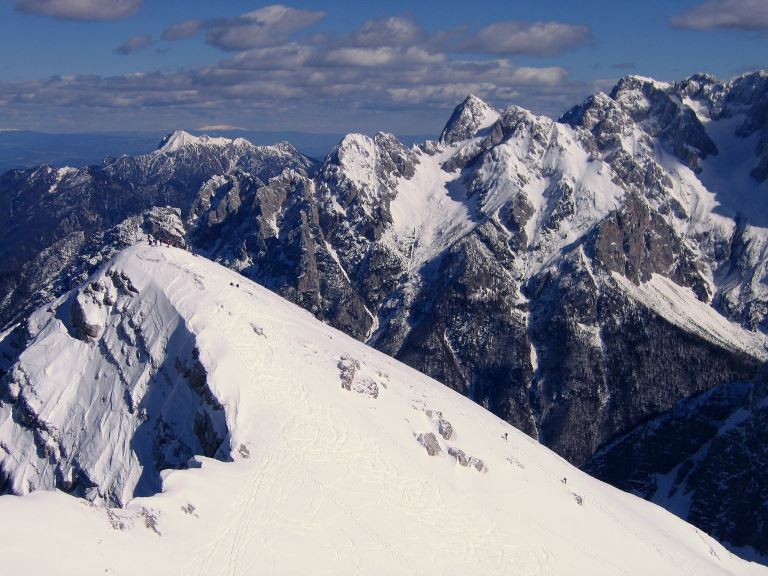 Professor Ivan Sumljak (1899-1984), an authority among the Maribor mountain hikers, a publicist, lecturer and head of the PD Maribor-Matica trailblazing section/unit of 20 years, sent a written proposal for the mountain trail to the Slovenian Alpine Association (Planinska zveza Slovenije - PZS) as early as 1950. While performing trailblazing, it occured to him: "Why not connect all these spots by means of one single blazed trail which would extend further on, across the entire Slovenian territory and back to Maribor!" This is how Slovenia became the first European country to have a unique transversal trail. 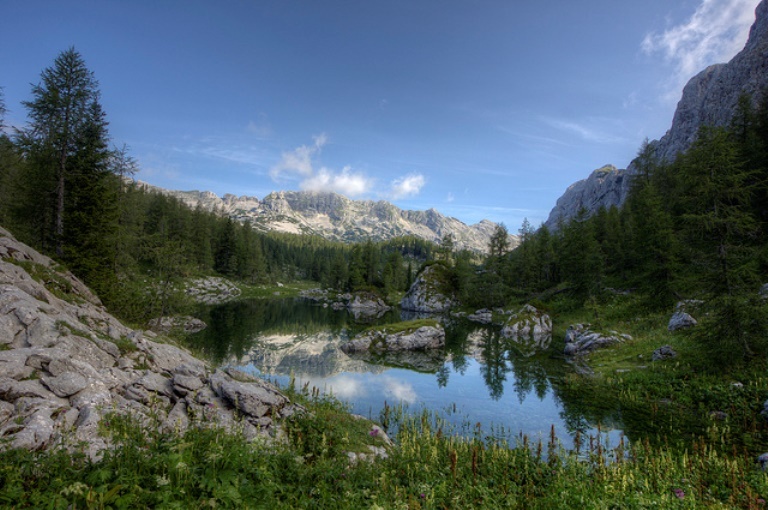 Hiking across the Slovenian mountains started in 1953 with the path which was not only revealing its beautiful features but also taking the mountain hikers from the Pannonian plains across plateaus and hills all the way to the Slovenian coast. Here, everyone can find something for their own taste. 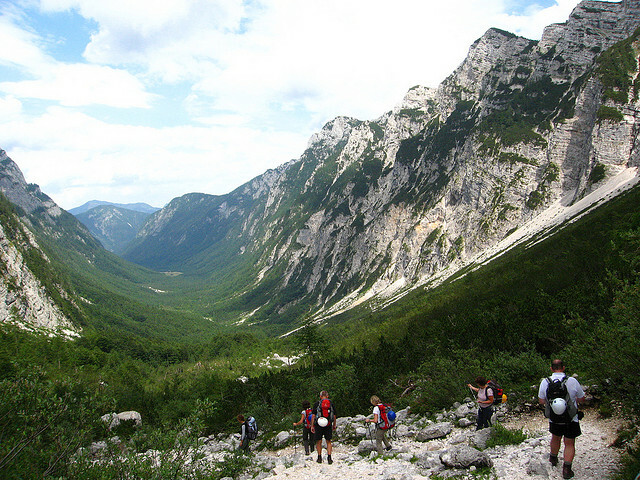 Hikers can begin or end the Slovenian Mountain Trail in Maribor, Ankaran or anywhere else. The trail has no restrictions in terms of time and is marked by means of the Knafelc blazes (white dot with a red circle around it and an Arabic number 1). It leads through routes which can be classified in three groups, namely easy, demanding and very demanding routes. The trails leading to the peaks and mountain posts of the Extended Slovenian Mountain Trail are established mountain routes marked by means of the Knafelc blazes and bearing no special or additional markings. This trail is also not restricted in terms of time and can be started and finished anywhere. When setting out on either of the above-mentioned trails, it is highly recommended to use the guides published by the Slovenian Alpine Association and written by Joze Dobnik, namely Slovenska planinska pot (Slovenian Mountain Trail) (1998) in Razsirjena slovenska planinska pot (Extended Slovenian Mountain Trail) (1993). The first guide contains a condensed description of the entire trail from Maribor to Ankaran, the mountains, summits, places, and mountain and other types of posts where control stamps are kept. 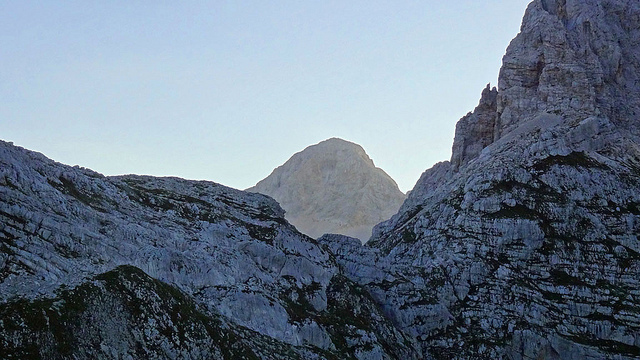 It also lists interesting sights, views and the most suitable routes to approach the posts and summits. Maps with a clearly traced Slovenian Mountain Trail are also worth mentioning, along with a map with marked points of the Extended Slovenian Mountain Trail. The second guide faithfully follows the first book. 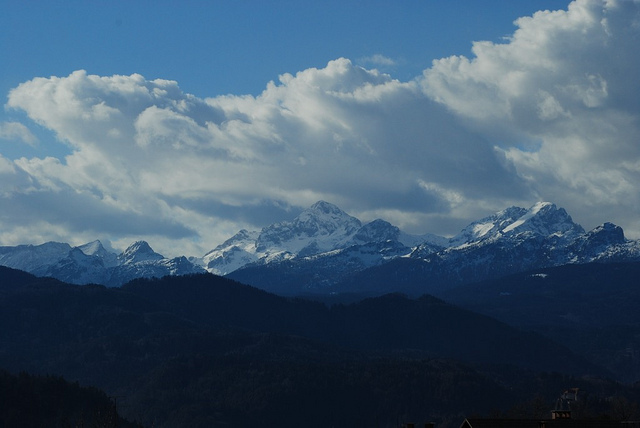 When hiking, it is certainly good to bring the mountain hiking maps as well which, in addition to the Slovenian Mountain Trail, show other mountain hiking routes leading to the mountain hiking posts and summits where hikers can get stamps."